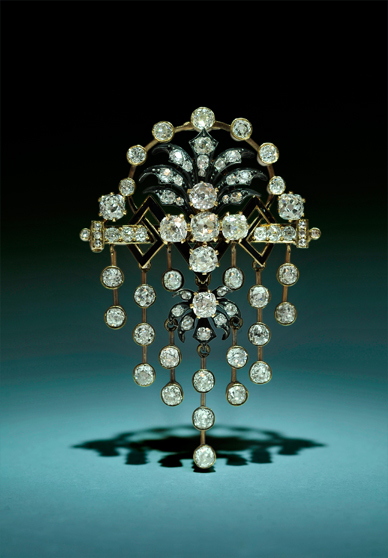 Dupuis’ international auctions provide a unique opportunity to purchase rare and one-of-a-kind antique and modern jewellery. Another advantage of buying at auction is that the costs are often significantly lower than the retail price of similar jewellery. Before auctions, we publish catalogues that include colour photographs, descriptions and estimates of all pieces offered for sale. We also hold a public exhibition prior to the auction, where you can inspect, examine and try on any of the jewels. Our experts are in attendance at the exhibition to assist you and answer any questions. Private viewings in our offices may also be arranged. There are various methods of bidding at auction. We recommend that you attend the auction and bid in person. A live auction is quite exciting and features photos of each lot projected onto a large screen during bidding. For those new to the auction process, we want to reassure you that bids cannot be made unintentionally. If you are unable to attend, we offer both absentee and telephone bidding (download bid form), in accordance with our conditions of sale. As another convenient alternative, the DUPUIS LIVE (register here) option allows you to bid via your computer during the auction. Dupuis requires new bidders to provide references (download purchaser information form) and a government issued photo identification copy to accompany the bid form. Failure to provide this information will result in your bids not being accepted. After a successful bid, you may pick up your purchase the day following the auction at our Toronto office. If you prefer, we can arrange to have the property packaged and shipped to you. Depending on the value as well as your preference, your package can be shipped via Canada Post, FedEx or Malca-Amit. For your convenience, we post a searchable catalogue of all pieces on our website one month prior to auction. You may also browse the archives of lots and prices from previous auctions. Condition reports are readily available from the description page of each lot on this web site beginning two weeks prior to each auction. Such reports reflect our opinion only, to the best of our knowledge, and may not necessarily be complete. Please contact us if you require a more detailed analysis. To register, or to receive more information on bidding, payment and shipping please visit our online catalogue.